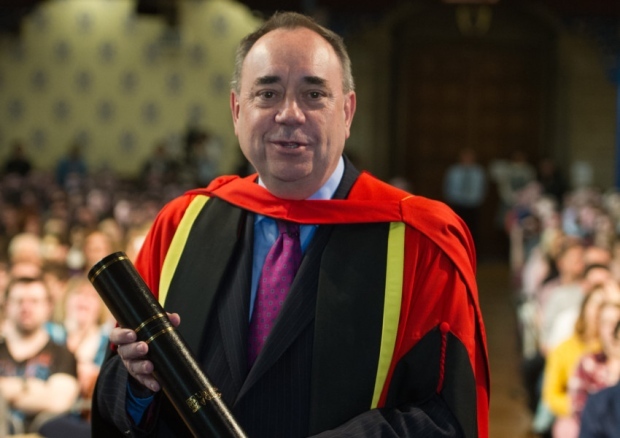 Former first minister Alex Salmond has been awarded an honorary degree by Glasgow University. Salmond received his award during a ceremony at Bute Hall, and joined previous recipients, including Donald Dewer, Sir Menzies Campbell and Charles Kennedy. The University said the honorary degree was in recognition of Salmond’s contribution to public life. “Mr. Salmond led Scotland during what was arguably the most important period of constitutional debate in the last 300 years, leading to the 2014 Independence Referendum.